This low boy stand is a good option for low lighting set ups. It incorporates a useful levelling leg for stability on uneven surfaces. 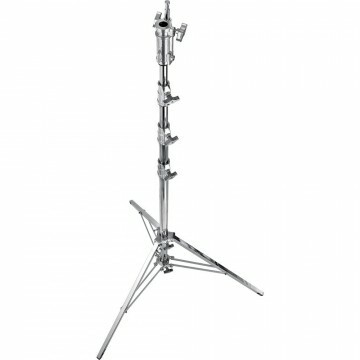 The stand is adjustable from 64cm to 100cm. It has a neat footprint that’s good for use in small spaces, but is a hardworking choice, having a maximum payload of 30kg although the stand itself weighs only 4.5kg. thanks for forwarding on information about the Low boy stand.